– Textual Promiscuities : Eighteenth-Century Critical Rewriting, Lewisburg/London, Bucknell UP/Associated UP, 2002. – « Séduction criminelle : le dilemme du lecteur dans Miss Henriette Stralson », in N. Sclippa (dir. ), Lire Sade, Paris, Harmattan, 2004, p.287-298. 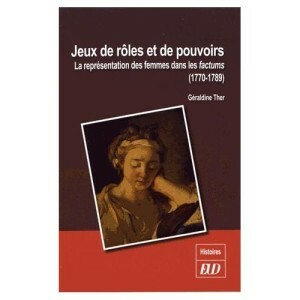 – « Trials and Tribulations : Readings and Misreadings of the Revolutionary Body in French Women Novelists, 1792-1799 », Illisible. Echo : Croisement des langues et des cultures/A polyglot and cross cultural journal, February, 2004 (en ligne). – « Mail Call : Epistolary Exchanges Explored », Eighteenth-Century Studies, 36, 3, 2003, p.444-449. – « The Second Time Around : Marriage and Remarriage in Riccoboni and La Guesnerie », Eighteenth-Century Life, 26, 2, Spring 2002, p.53-68. – « A French Reading and Critical Rewriting of Mary Hays’s Memoirs of Emma Courtney », EMF : Studies in Early Modern France (Charlottesville, Virginie), 8, 2002 (« Strategic Writing »), p.228-245. 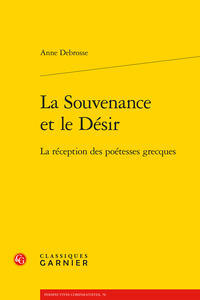 – « “Se répandre en paroles” : Notions of Identity in Mme de Bénouville’s Pensées Errantes », Intertexts, 4-2, Fall 2000, p.129-143. – « Un Double miroir : l’image des Français dans les romans de Frances Burney », in Le Même, l’autre. Regards éuropeens, Clermont-Ferrand, PU Blaise Pascal, 1997, p.211-232. – « Lost in Translation : Crébillon’s Les Heureux orphelins and Haywood’s The Fortunate Foundlings », in S. Woodward, T. Purdy, M. Gaudet & P. Saiz (dir. ), Altered Narratives, vol I of Eighteenth-Century French World Center, London, Mestengo Press, 1997, p.16-40. – « Violence and Persecution in the Drawing-Room : Subversive Textual Strategies in Riccoboni’s Miss Juliette Catesby », in R. V. Bonnel, A. Goldschlage, C. Roulston et al. (dir. ), Public Space in the Domestic Sphere, vol II of Eighteenth-Century French World Center, London, Mestengo Press, 1997, p.65-76. 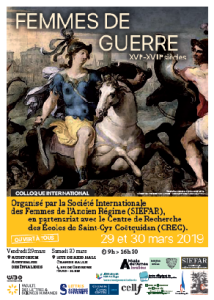 – « Gender Boundaries in the Riccoboni/Laclos Correspondence : or, Why write as a Woman ? », Women in French Studies, 3, October 1995, p.34-43. 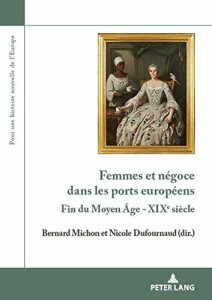 – « Madame Guizot » – « Madame de Coicy » – « Madame Guibert » – « La Comtesse de Fontaines » – « Madame Fagnon » – « Mme de Roumier Robert and Madame de La Guesnerie », in E. Sartori (dir. ), A Feminist Encyclopedia of French Literature, Westport (Connect. ), Greenwood Press, 1999.